The market seems to be in a sluggish mode ahead of February Future and Options (F&O) series expiry and Rail Budget tomorrow. The Sensex is down 127.39 points or 0.5 percent at 23282.79, and the Nifty slips 34.30 points or 0.5 percent at 7075.25. About 865 shares have advanced, 1480 shares declined, and 153 shares are unchanged. Infosys, Axis Bank, SBI, Bharti Airtel and Maruti are top gainers while NTPC, Tata Motors, BHEL, HDFC and Bajaj Auto are losers in the Sensex. Market sentiment is fragile on concerns related to developed market growth, widening credit spread and muted domestic corporate earnings, says Nirmal Jain, Chairman of IIFL. 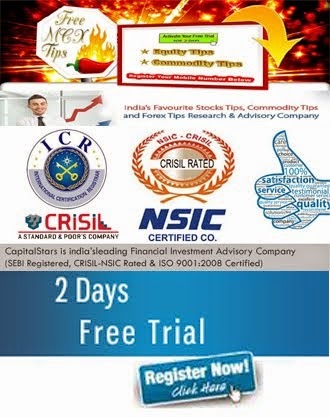 We Are Providing Live Market Update, Market Research Report, Equity & Commodity Trading Calls With 2 Days Free Trial.. The market has opened marginally lower on Tuesday with the Sensex falling 47.18 points to 23741.61 and the Nifty down 15.90 points to 7218.65. The Indian rupee opened marginally lower by 5 paise at 68.65 per dollar today against 68.60 Monday. Budget 2016 to target FY17 fiscal deficit at 3.8 percent of GDP as it walks a tightrope between supporting growth and trying to maintain fiscal credibility. According to market experts, gross tax revenue is expected to grow at 14.2 percent, marginally higher than this fiscal's 12.7 percent as he builds in a shallow recovery to 6.3 percent GDP growth in FY17 from 5.5 percent this year. The market is rising gradually with support from pharma and oil & gas. 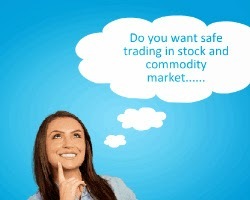 The Sensex is up 69.81 points or 0.3 percent at 23778.96 and the Nifty is up 18.95 points or 0.3 percent at 7229.70. 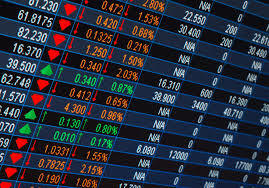 About 1276 shares have advanced, 686 shares declined, and 111 shares are unchanged. HUL, Bharti, Sun Pharma, Reliance and Lupin are top gainers while ITC, Maruti, Adani Ports, Wipro and BHEL are major laggards in the Sensex. Our research analyst says he continues to be 'underweight' and defensive on Indian market on worries over growth and earnings. Adhering to the fiscal consolidation is very important for the Finance Minister, Joshi says in an interview to CNBC-TV18. "Earnings revision is kind of key than the Budget,"
CapitalStars Won Global Quality Award For Best Research & Investment Advisory Services Company Of The Year 2016. It is with great pleasure to announce that we got nominated for the "GLOBAL QUALITY AWARDS- 2016" in recognition of significant contribution made by CapitalStars Financial Research Pvt. Ltd.for the category of "Best Research & Investment Advisory Services Company Of The Year 2016". I am extremely happy & feeling proud to announce that we won the Award for the category of "Best Research & Investment Advisory Services Company Of The Year 2016" for our best outstanding contribution & tireless efforts in addressing & raising the standard of Advisories. It is our pleasure to receive this award from Mr. Arbaaz Khan (Bollywood Actor), at Radisson Blue, Delhi. The Award is basically for those who ranked one in their respective fields, so many different companies of various industries got nominated for this award in their respective fields. We are the luckiest one to get this award. This award will only give you the best stand in the society but also will help in future growth of our company.